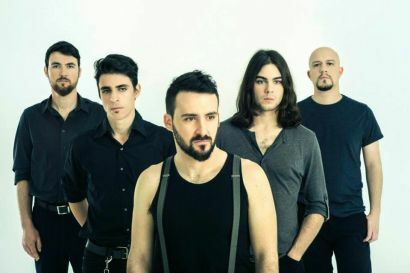 A band whose independent track record was probably too good to ignore for Season of Mist, Spain’s Obsidian Kingdom arrives in signed-band-ville with two well-received, self-released albums already under their belt. A nimble stroll through the band’s Mantiis – An Agony in Fourteen Bites (2012) and Torn and Burnt – The Mantiis Remixes (2013) reveals a band readily engaged in the swell and swirl of progressive post-metal. By this tag alone, Obsidian Kingdom exists in the not-so-travelled confines occupied by the likes of Pain of Salvation, Riverside, and Wolverine. Quality company to be in. The band’s A Year with No Summer label debut does the necessary tip-toeing around metal and progressive rock formats. The occasional riff surge will come crashing in during the choruses (see: “A Year with No Summer” and “Black Swan”), all the while the Spaniards cling close and hard to their experimental bearings, as found on the noise-laden “April 10th” and “Darkness,” which may be the album’s only stumble; a rather uninspired, redundant cut that lacks the meat and persuasion of the aforementioned “Black Swan.” But keep ‘yer eye on vocalist/guitarist Rider G. Omega, whose clean vocal vibrations trace the calm during the reckless hum found on “The Kardinsky Group” and “Away Absent,” the album’s penultimate moment. Obsidian Kingdom could have done themselves a few more favors by padding the track listing with a few more “traditional” numbers, although a term like “traditional” should be cast aside when engaging a band with such an adventurous plot. 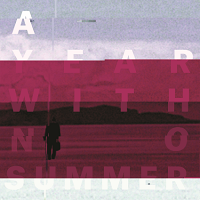 And really, A Year with No Summer feels like a miss and a spin-around the first few times you give it a go, but then those dramatic post-rock swells, earthly vocals, and harmonious experimental jaunts start to make sense. When it does click, you’ll know what we’re talking about.